A comprehensive pollution-control plan similar to that applied during the 2008 Olympics will be launched for the 2014 Asia-Pacific Economic Cooperation (APEC) meeting to be held in Beijing's Huairou district this autumn, the Beijing News reported on Tuesday. A comprehensive pollution-control plan similar to that applied during the 2008 Olympics will be launched for the 2014 Asia-Pacific Economic Cooperation (APEC) meeting to be held in Beijing's Huairou district this autumn. The air in Beijing during the 2008 Olympics was cleaner than the previous year's, due to aggressive efforts by policymakers to curtail traffic, increase emission standards and halt construction. The challenge in curbing air pollution for the APEC meeting will be increased compared to the Olympic Games, which were held during the summer, according to Peng Yingdeng, a member of the urban environment management panel under the Ministry of Environmental Protection. "Smog is more common in autumn than in other seasons in Beijing, and climate conditions are unfavorable for diffusing pollutants," Peng added. 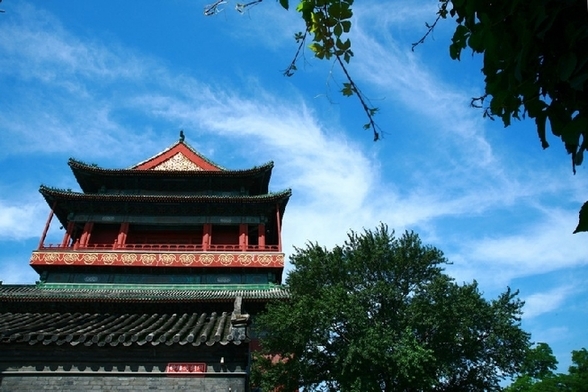 To control air pollution in an more effective manner, green departments in Beijing and surrounding areas such as Hebei province, Shanxi province and Tianjin city will join hands in setting up an air quality forecasting and early warning platform, according to Zhuang Zhiqiang, vice director of Beijing municipal Environmental Protection Bureau. An information sharing platform will also be set up for green departments to launch joint law enforcement campaigns against the burning of agriculture residues by farmers and emissions from coal-fired power plants. A detailed pollution control plan is under development, Zhuang added.